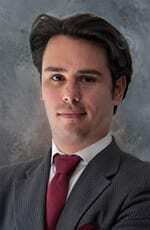 Eduardo (Eddy) Garcia-Zapatero is the Business Development Manager for 1stWEST M&A in Peru. Eddy is also the Commercial Director for BusinessHub in Peru which is a boutique business development and foreign investment consulting firm that specializes in assisting foreign companies in their quest to expand their international business in terms of exports and investments to Chile, Columbia, Peru and Argentina. He has also held positions as; Project Leader in milestone GRP, Managing and Editorial Director at Comerex Group LLC, Project Director for Worldfolio by AFA Press, Director Sales & Marketing Swissol USA-LLC and Public Relations for The Buchart Gardens. Eddy graduated from Camosum College with a Business Administration and Marketing Degree and attended the Forum For International Trade (FITT).